As an IT Consulting & Staffing Recruiter, we help Job Seekers find consulting jobs with our clients. The IT Resume is your first impression. A resume is discarded if it doesn’t “stack up” against other Job Seekers, even if the candidate is qualified. How do you move to the top of the stack? First, realize you are NOT the only applicant, and there could be as many as ten to fifty other resumes reviewed. 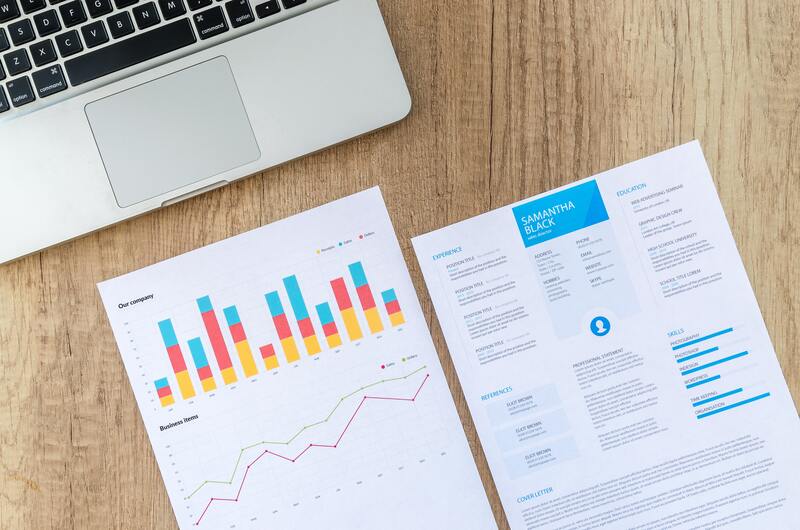 Hiring companies generally do a cursory review spending only a few minutes per resume to select those for further review. You want a resume that gets you into “the Game,” how do you do that? Competencies/Technical Skills: Methodologies, Tools, Operating Systems, Databases, Programming Languages, etc. Name: At the top of the page or in a Header, Bold, Centered, Full Legal Name (middle initial is optional), Professional Certification Designation (only if relevant), Contact information on a second line. Objective: Write a 3-5 Sentence Objective/Summary that is tailored to the specific job. Begin the paragraph with your title (e.g., Senior Java Developer) and the title you are applying for, your total number of years of experience in that field and three to five sentences max. Competencies: Use a Competencies/Technical Skill summary section at the beginning of your resume and list the relevant skills of your trade. Experience: Keep Work Experience/Job History to no more than half a page each including dates of employment, company name, most recent title, a functional description of your role and 3-6 bullets highlighting your primary day to day duties, responsibilities and accomplishments. I prefer to see as the last bullet for each employer, a Technical Environment Summary of the technologies and tools used, i.e., MS Windows 7, MS SQL Server, .NET, C#, SSIS, SSRS. Don’t leave gaps in employment un-explained; you can add a narrative within the resume or include in a cover letter. – Used Bootstrap front-end framework for faster and easier web development. Education: State highest Education completed and if not completed, indicate “in progress” or “Anticipated graduation date,” if you have a Bachelor Degree, we don’t need your high school, if you have a Masters and Ph.D., you should include all college degrees. Certifications: Add Certifications and Training to the end of your resume that is relevant to your future career. We do not need to know you are a licensed Realtor, CPA, etc. Proof Read your Resume at least three times before submitting for grammatical errors, typographical errors, incorrect use of punctuation, etc. Make sure you use an editing tool such as MS Word that will highlight potential mistakes because the customers do. You would be surprised how many resumes come across my desk with avoidable errors underscored by MS Word. These mistakes send a message that you are either incompetent or didn’t take your time, both of which will get your resume discarded. Don’t use redundant phrases or bullets that appear as merely copied and pasted from one employment history to another; this can be interpreted as lazy and not interested in fully explaining what you have done. Don’t falsify or embellish your skills and experience. In the technology industry, you are going to be tested and waste everyone’s time. Confidently state what you can do. Don’t falsify education and certifications/training. They will most likely be verified. Be careful with the use of the 1st person, can be viewed as arrogant. When creating a skill summary, list the most relevant skills first, same with work history bullets. If customers have to read down to Page 2 before they see what they are looking for, they may move on. Today’s blog is written by John O’Brien, Regional Vice President.